ROTTERDAM, Netherlands, Sept. 3 /PRNewswire/ -- LyondellBasell Industries has commercialized a family of newly patented Lupolen high density polyethylene (HDPE) resins that offer improved resistance to bio-diesel and may therefore be of interest to manufacturers of automotive plastic fuel tanks. 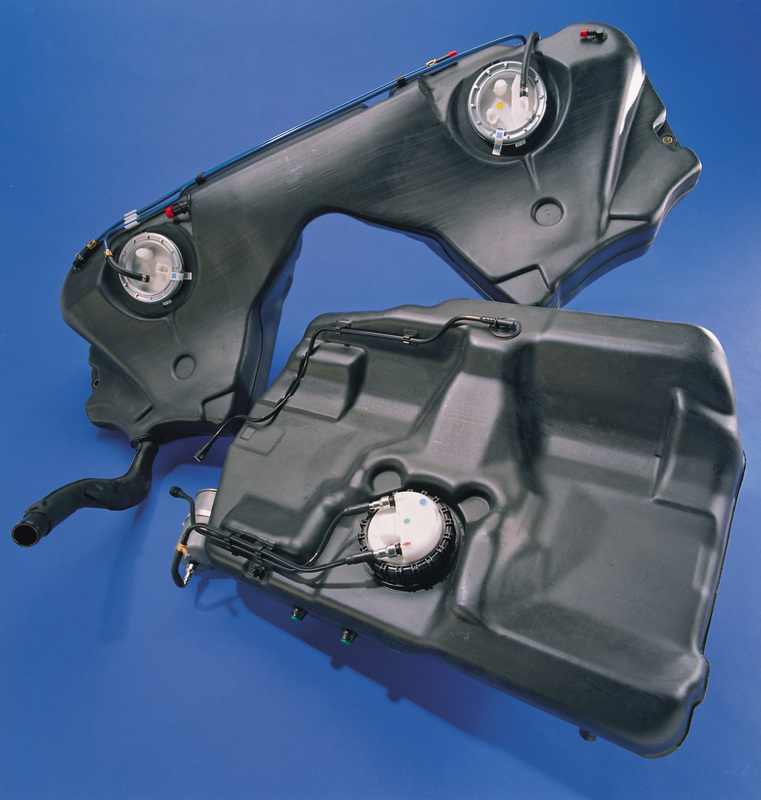 The new resin, addressed to the needs of fuel tank producers facing bio-based product challenges, is available for use in blow molding (Lupolen 4261 AG BD) and injection molding (Lupolen 4261A IM BD) processes. "With this new resin, we have improved chemical resistance that should allow manufacturers to produce fuel tanks that can accommodate fuels containing higher levels of bio-diesel," said Thomas Lindner, Technical Manager of LyondellBasell's Automotive Fluid Systems Business. Lupolen HDPE test data using blow molded and injection molded parts have shown a significant increase in chemical resistance to bio-diesel fuels compared to current HDPE grades on the market. After 1500 hours of contact with fuel consisting of 100 percent bio-diesel, the grade changed its intrinsic viscosity by 1.7 percent, which corresponds to a nearly thirty-fold improvement in resistance compared to standard HDPE grades previously used by customers in fuel tank applications. "Of particular importance to customers is that with improved chemical resistance to bio-diesel, Lupolen 4261 AG BD and Lupolen 4261A IM BD maintain their physical and chemical properties at the same level when compared to our conventional Lupolen 4261A product family," said Lindner. "This also applies to the melt viscosity during processing, so previous molds and machinery are expected to require no modifications." Lindner added, "The effects of high bio-diesel-content fuels on HDPE have not been recognized for many years because of the conventional test methods used. In our enhanced test method, fuels with high bio-diesel-content are maintained in an HDPE container over a long period at elevated temperatures. Hence, the fuel and the HDPE are exposed to atmospheric oxygen and moisture and it was found that the combination of these can attack the HDPE. This can result in changes to the typical material properties of the polymer, which should be avoided from a crash performance point of view." LyondellBasell's test method subjected fuel tank samples to temperatures of 40 degrees Celsius, with an exposure time of 11 years using 100 percent bio-diesel samples. "Our new bio-diesel grades will address automotive industry demands for resins that meet alternative fuel technology needs. The relevant EU Directive on the use of bio-fuels or other renewable fuels for transport is expected to require bio-fuels to attain a higher percent share of the total fuel market by 2010. This is something that we should be prepared for," said Richard Roudeix, Vice President of LyondellBasell's Automotive Fluid Systems Business.